Don't have access to a plug at your wedding? 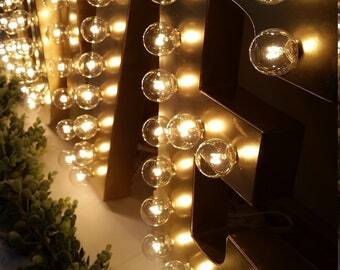 Battery-powered marquee lights are now here! 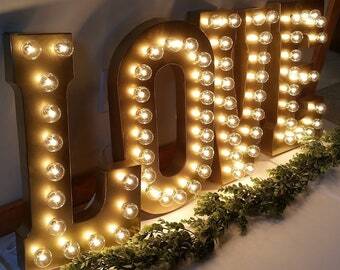 These letters are gorgeous and are so romantic! Light up the night at your reception and create a seriously sweet backdrop for your wedding photos (not to mention your guests' pictures!) 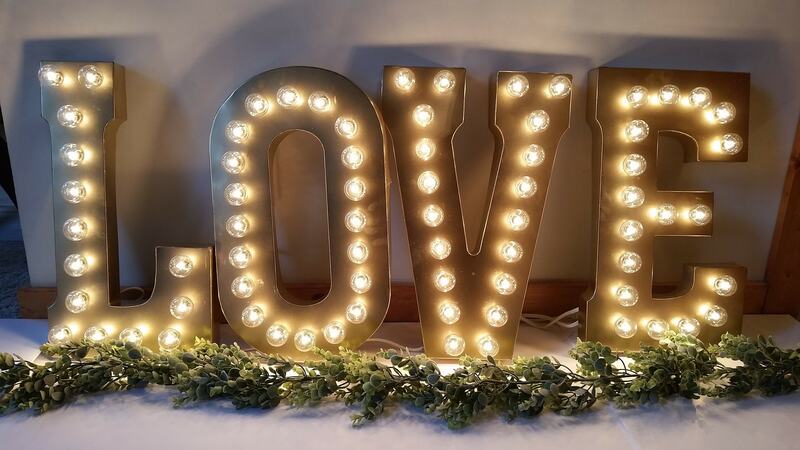 Make a statement in your home or at your wedding with these galvanized metal marquee light letters. Great for your ceremony, reception AND your home after the wedding! 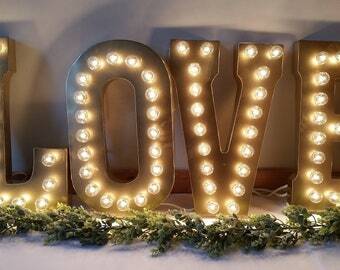 These marquee letters are a warm gold color keeping it romantic, while still being extremely modern and unique. Letters are made out of real galvanized metal with clear 1.5" diameter glass bulbs to give a warm glow. 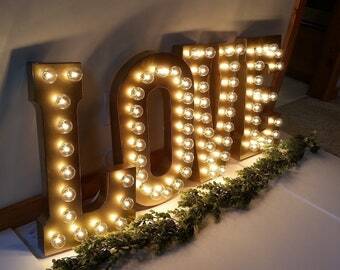 Our letters are different from others as our lights are finished with holes precisely cut to hug and fit each bulb securely! The letters are battery-operated with a 6 hour timer or the plugin version have a 6ft white cord to be plugged into a standard outlet. -Extra bulbs are included with each letter for your convenience! -For INDOOR & DRY use only. We love custom orders! We can do initials/custom phrases! Some examples are last names, initials, LOVE, SWEETS, MR & MRS, I DO- possibilities are endless!